New to welding aluminum? No worries. We’ve got you covered. 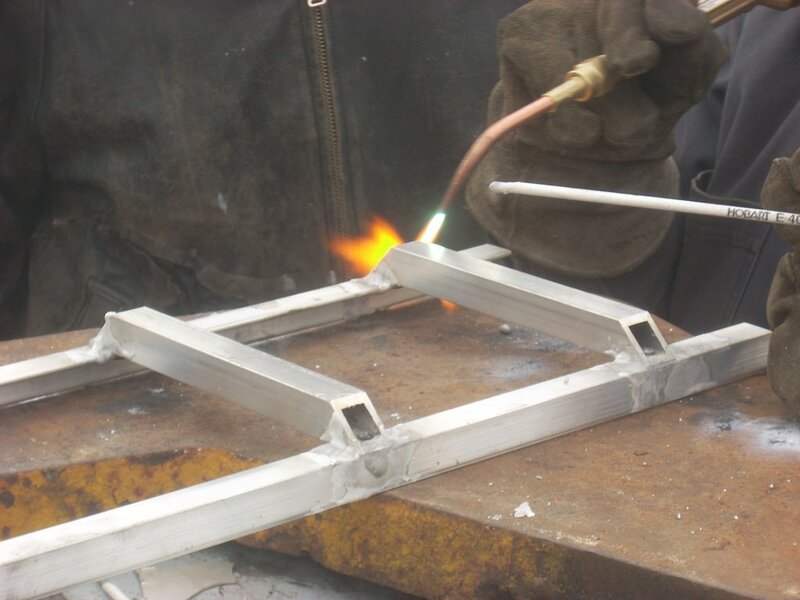 Simply follow these instructions and you’ll come up with aluminum welded like a pro! Wear protective gear. Your gloves should be thicker when welding aluminum because additional heat will be involved. This is because aluminum needs more heat than steel. Fix the flow of your shielding gas. Set it to 16 to 18 cubic feet per hour. This is applicable only for aluminum that has 0.500-inch thickness or lower. You can add a percentage of helium if your aluminum is thicker. Doing this will escalate the amount of heat and enhance its ability to penetrate. If you see that the weld puddle is being disrupted by the airflow, you can add set the flow to 20 cubic feet per hour. Note: Use pure argon shielding gas when you’re welding aluminum and use a an argon and CO2 mixture when welding steel. For welding aluminum, your machine’s AC current should be set. For the tungsten, its DC current should be set. Your power output must have a ratio of 1:1,000 inch of metal width. That means you need 500 amperes for a plate that’s 0.5 inch thick. Prepare your pure tungsten electrode. Get it ready with a melted ball on its end. Your Zirconiated tungsten electrode should be up to 18 inches in diameter which is required by sine machines. Note: This type of tungsten is only best for aluminum. If you’re welding sheetmetal, use 2% Ceriated tungsten with a sharp point for any machine. Sharpen the end using a grinding wheel. The ends shouldn’t have a blunt point, so this is a vital step. You can make use of a disc sander for this step as well. Clean. Clean. Clean. Make sure your workpiece isn’t contaminated. In order to be certain, clean off the surface oxide coating using a stainless steel brush. Before doing so, ensure that your brush is clean as well, otherwise, using it will be useless! Note: Use this type of brush only when welding aluminum. Aside from brushing off the oxide, the back part of the weld should also be examined. Make sure that no contaminants are dragged through your aluminum into the weld puddle. Don’t just depend on the welder when it comes to cleaning the moisture, grease, or oil.